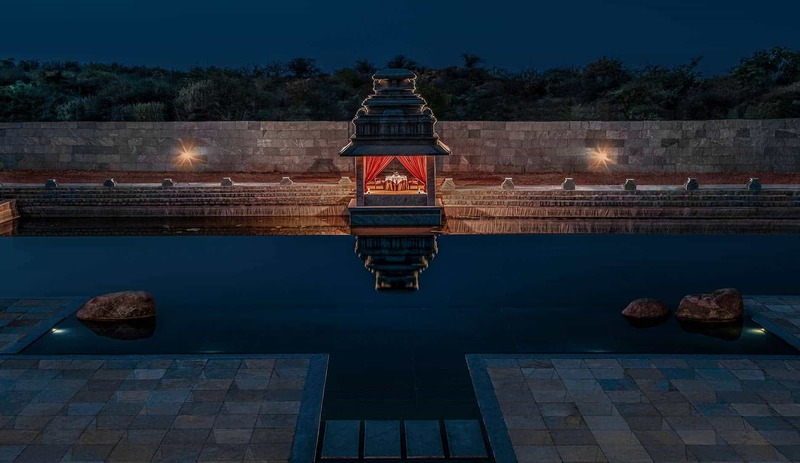 Pushkarni Restaurant | Evolve Back Kamalapura Palace, Hampi. 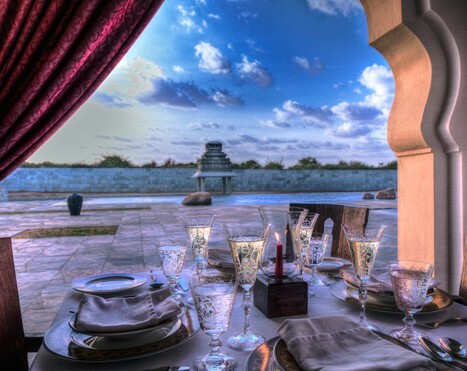 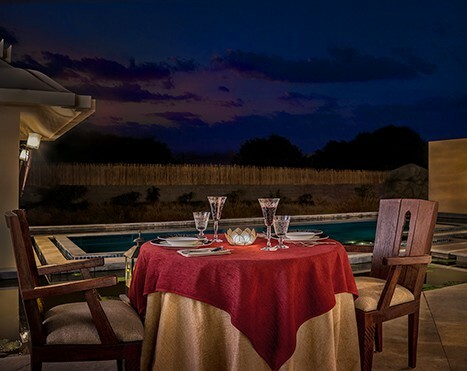 In a ‘Mantapa’ overlooking the lotus pond and the Infinity Pool, a royal repast awaits you. 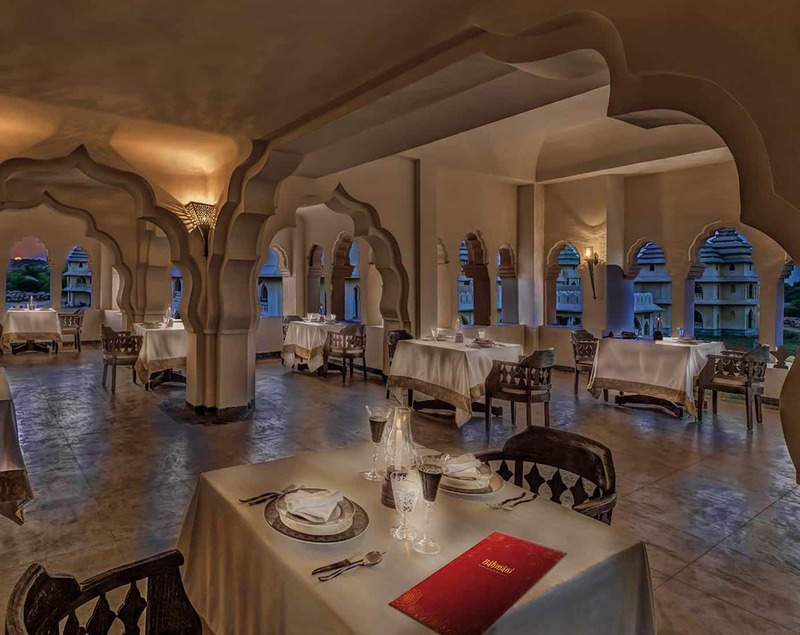 In a setting reminiscent of the Rayas of Vijayanagara, enjoy a four-course meal, sip on a glass of wine and indulge in a royal romance.